Jack Garton and the Demon Squadron release brand new album Love You Over Time. Recorded in Vancouver with local genius Steven Drake at Hipposonic Studio, the band is excited to release it to ears far and wide. 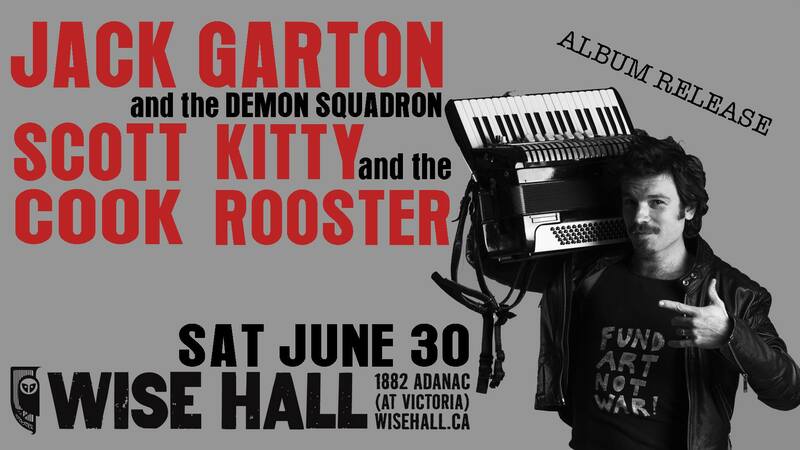 Kicking off the summer touring season with an East Van boom-bastic bouncy bacchanale featuring Scott Cook trio and Kitty and the Rooster! NEW ALBUM ‘Love You Over Time’ will be available on Vinyl and CD with limited edition artwork.